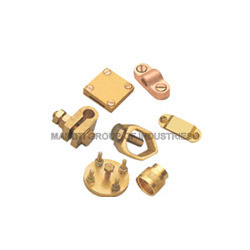 Manufacturer of a wide range of products which include brass anchor, brass earthing clamp, brass auto parts, brass split bolt connectors, brass energy meter parts and electrical wiring accessories. 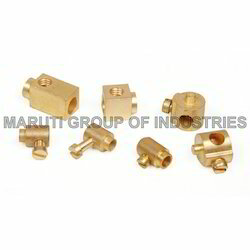 We are reckoned as an eminent manufacturer, supplier and exporter of a Brass Anchor. Our offered anchors are designed and developed with perfection under the guidance of skilled and talented professionals, employing technically advanced machines and technology. Furthermore, we bring forth these anchors in different grades and specifications to suit the requirements of our esteemed customers. 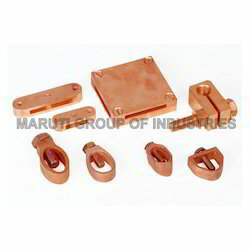 We are counted among the leading manufacturers, suppliers and exporters of a wide array of Brass Earthing Clamps. These clamps are manufactured at our well-equipped manufacturing unit employing latest machines. Besides, we pack these clamps in premium quality packaging material to ensure their safe transit at clients' destination. Leveraging on our expansive industry experience; we are engaged in manufacturing, supplying and exporting high grade Brass Auto Parts. 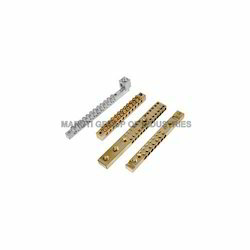 All these products are manufactured by experienced professionals using high grade brass. Post-production, these parts are tested to in order to rule out every possibility of defect. 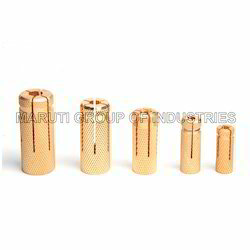 With thorough industry knowledge, we are engaged in manufacturing, supplying and exporting Brass Split Bolt Connectors. The brass and other material used in the manufacturing process are sourced from certified vendors of the market with the help of our procuring agents. 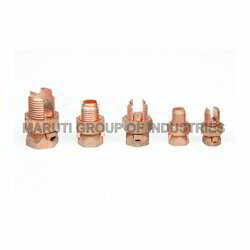 Clients can avail our range in various specifications at industry leading rates. Our organization is counted amongst the most distinguished manufacturers, suppliers and exporters of Brass Energy Meter Parts. 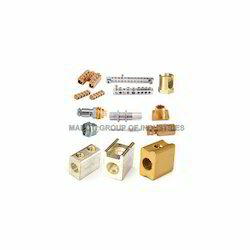 Available in various specifications, these parts are used in electrical industry. The experts working with us do not compromise with quality and make sure that high quality material is used in the manufacturing process. With firm commitment to quality, we are manufacturing, supplying and exporting a comprehensive range of fuse and Electrical Wiring Accessories. To manufacture these products, our experts make use of quality-approved material . Besides, we timely deliver these products at clients destination using easy shipment modes. 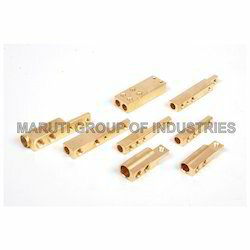 Being a customer focused organization, we are engaged in manufacturing, supplying and exporting Brass Neutral Link. Manufactured using high grade material, our range is in compliance with international quality standards. Post-production, our range is thoroughly inspected in order to rule out every possibility of defect. We are one of the paramount manufacturers, suppliers and exporters of a wide range of Earthing Accessories. The accessories offered by us are manufactured by our experts using high quality material that is sourced from vendors of high repute. Further, we customize the offered range as per the specifications detailed by customers. Looking for Brass Electrical Earthing Accessories ?